There has been no shortage of tragedies in the Americas lately. Our hearts go out to those suffering the effects of hurricanes, fires, and mass shootings. In southern Mexico it was two major earthquakes on September 7th and 19th that brought major devastation and the loss of hundreds of lives and thousands of homes. Although weeks have passed, schools in our area are still out while officials do a thorough safety check of each building. With tens of thousands of schools in this densely populated region it might be a while. While most people have tried to move on and resume daily life with some sense of normalcy, there is still an underlying fear of aftershocks (over 7000 so far, some felt in Mexico City). The people of southern Mexico are brave and resilient but remain shaken, both physically and psychologically. We pray that in these times of uncertainty many will turn to One who can keep them in perfect peace. The second quake struck near the Mixtec area in PUEBLA where our Chiconautla missionary family is living and working, but thankfully they had no damage to their home. Manuel and staff went to visit them recently, and things are looking up after 5 years! Agapito is basically leading a church service every Thursday evening, including preaching, with a group of recovering addicts through Alcoholics Anonymous. After laboring for years with very little evident fruit this is wonderful! The Osorios also lead Kids Clubs in 2 communities and meet with people one-on-one throughout the week. Pray for this group in San Pablo Anicano, Puebla, as they study God's word. Our daughter church in TIZAYUCA continues to meet in their temporary structure and has just begun work on the foundations for their permanent building. Pastor Domingo and his wife Teresa have taken a few months off after Teresa had brain surgery to remove a second cancerous tumor. She came through the surgery well--praise God!--and is close to completing an alternative treatment program. She is doing exceptionally well considering all she has been through, and they ask for your continued prayers for a full recovery. 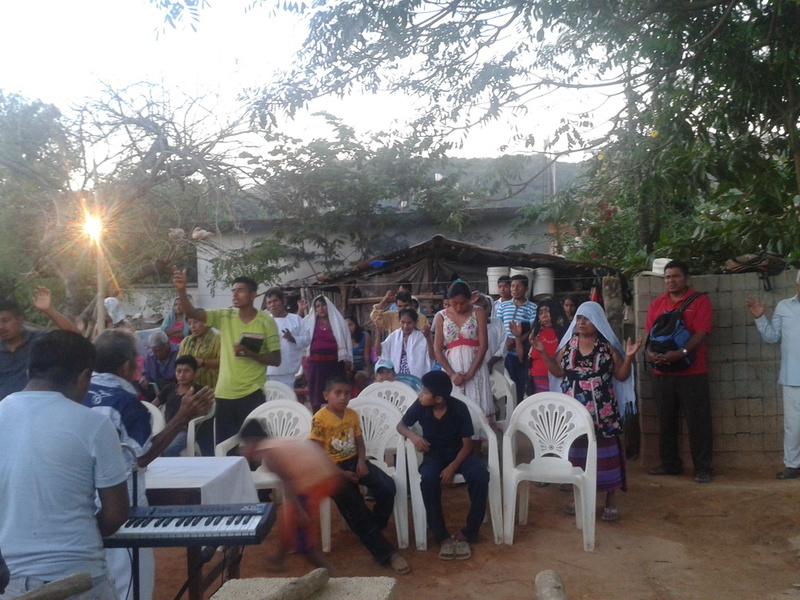 The church plant in LA MAGDALENA PANOAYA was discontinued this summer. After 1 1/2 years in this historically old and challenging area near the Pyramids of Teotihuacan, it became clear due to few results that the church planting team should invest their time and efforts elsewhere. We're thankful that Mike & Nancy Palumbo, who were leading the church plant, are now filling in for Domingo and Tere in Tizayuca. The Palumbos also need your prayers as their 1-year-old baby, Josiah, has been hospitalized off and on for weeks with intestinal bleeding. His diagnosis of ulcerative colitis is almost unheard of in babies. Pray for little Josiah and his doctors, and pray also for spiritual growth for the few believers in La Magdalena Panoaya. The church in HEROES TECAMAC is now fully under Mexican leadership. John & Tracey Pieters are currently on Home Assignment after transitioning leadership over to Pastor Francisco Ventura. This body of believers has always met in a public building they have rented on Sundays, but this month they were told they will have to find a new meeting place as of November 1st. 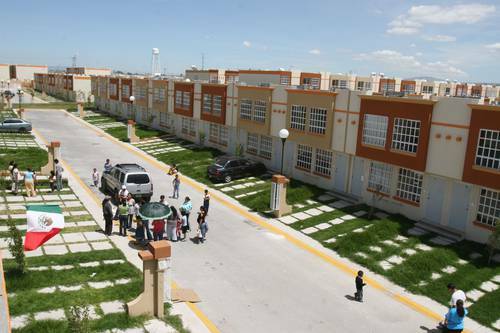 Finding a place where 100 or more people can meet is no small feat in these newer housing developments with thousands of small homes and few larger buildings. Please pray for Pastor Francisco and the church in Heroes Tecamac as they search for the best solution to this dilemma. In CHICONAUTLA things are looking up after a rough 13-14 months beginning with the string of robberies last fall. This month we have a brand new worship team leading us in worship during our 3 Sunday services (after the Vivanco family filled in for several weeks). We have also been extra busy this week with community service (free hair cuts, crafts, workshops on parenting and health and dental issues) and special evening services with teaching on prayer. Many non-church people from the community have attended the free events allowing for great conversations about faith. And last but certainly not least, we are expecting to meet with the builders of our new building in the next week or two, this time on the premises after multiple email and phone exchanges over the blueprints. The permits are in process, and the project is advancing v e r ys l o w l y but surely. One of these days we will actually be able to break ground! Posted on October 19, 2017 by Manuel & Laura Vivanco. Okay, so it's October and we're finally going to report on our summer. So much has happened since then all over the place (in our area, earthquakes...), and we'll bring you up to date soon on those details. For now here's the promised glimpse of what summer held for us. Halfway through Summit, Caleb dislocated and fractured a finger while white-water rafting. He quickly learned about US hospitals and insurance and ended up having surgery on his finger one day before returning to California. Talk about a crash course in independence! Meanwhile those of us in California did some fun things with family and helped with a local Vacation Bible School. Manuel joined us back in CA just as Caleb returned from Colorado, and we headed to the Sierras for a long-planned extended-family backpack trip (yes, with Caleb's just-operated-on finger). With all the snow still in the area in June it was a unique adventure for all, from Laura's 80-year-old dad down to 1-year-old Flor (foster niece). Lots of fun memories! After all that fun it was time to pack the van, drive the 2000 miles back to Mexico, and pick up school and ministry where we'd left off. Caleb (18) finished high school, Kelly (15) finished 9th grade, Nicolas (12) completed 6th grade, and Bethany (7) 1st grade. And there was lots to do to get ready for a summer team from Santa Barbara Community Church! We loved having this team work with us for 11 days in July! Look here for more photos of their time with us! Thank you, SB Community Church!! Shortly before the new school year began the Chiconautla church put on Vacation Bible School for a week. This was the 3rd VBS our kids helped with over the summer, and it included many unchurched kids who took the daily Bible teachings home to their families. Then it was time to take Vivanco Kid #2 off to college. Laura flew up with Caleb to help get him moved in at Biola University, and stayed for Parent Orientation activities before saying goodbye. Recent graduate Emily, now living and working in Carpinteria, CA, was also happy to return to Biola for the weekend. Study hard, Caleb! Back in Mexico, in September, just before the official end of summer, we celebrated two Noches Mexicanas in Chiconautla for Mexico's Independence Day. Many people who would not come to a Sunday church service came and enjoyed the festivities and also heard the message of salvation through Christ. What a whirlwind of a summer! After squeezing the rest of last school year in around all these activities, our remaining 3 homeschool students are now working on 10th grade (Kelly), 7th grade (Nicolas), and 2nd grade (Bethany). All of them are involved in ministry in various ways, including music ministry, teaching Sunday school, youth group leadership, etc. We're thankful for our kids and for the opportunity to work in ministry as a family! And we're thankful for all of you who partner with us!! Blessings! Posted on October 9, 2017 by Manuel & Laura Vivanco. From October 24th to November 18th, 2016, the Vivanco Family drove 5579 miles (8979 km) through 20 states--7 Mexican states and 13 in the US--crossing the border at Laredo, Texas. The primary purpose of the trip was to participate in Wooddale Church's Worldwide Week (in Eden Prairie, Minnesota), a 9-day missions conference featuring global partners and organizations they support around the world. In addition to what you see in the photos below, we shared our faith story in all five weekend services. While in Minnesota we enjoyed time with our wonderful host family, had a reunion with our friends from Northwood Church, and visited Mall of America and its Sea Life Aquarium. Oh, and we helped Caleb work on college applications (gulp!). and spent time with Laura's sister Diane and family in Kentucky. The new Ark Encounter in Kentucky (south of Cincinnatti) was amazing!! Back in Texas we attended the Annual Meeting of the Texas Baptists in Waco before returning to Mexico. There were relatives and tamales waiting for us when we pulled up at home in Mexico, in celebration of our nephew Jehu's college graduation. What a way to end a road trip! Congratulations, Jehu!! If you prayed for us during our travels, thank you! If you're still praying for us, fantastic! After those 3 1/2 whirlwind weeks on the road, we are back at work in Mexico City's metro area. We are blessed to have been able to make this trip and grateful to those who hosted us, fed us, told us they're praying for us...The list is long! You're the best!! Posted on December 6, 2016 by Manuel & Laura Vivanco. Our week of Vacation Bible School was a great success with 85 kids between ages 4 and 12 learning from God's Word each day. Our Children's Ministry staff is grateful for the many volunteers who helped with all these kids. There were lots of new faces among the kids and also the parents who came for the closing ceremony. We pray that the seeds sown that week will bear fruit over time. ...and also Zabdi, daughter of our Chiconautla missionaries in Puebla. Both events were great opportunities to openly share the Gospel message with non-believing relatives! While Emily, our oldest daughter, is back at Biola University for her junior year, Caleb, Kelly, Nicolas and Bethany are enjoying being back at home in Mexico after our 3-month furlough. Soon we'll be starting the new home school year. We're looking for a new family/ministry vehicle to replace this one that has taken us so many places (and seen so many mechanics). We're finding that we're $2000-$3000 short to get a 2011 or 2012 model, which will allow us to drive it any day of the week in Mexico City's metro area for 4 or 5 years (before being restricted to 5-6 days a week). If you're able to give, please contact us! We're ready for the next chapter (more time/funds for ministry and less for getting the van fixed)! The Chiconautla church, Iglesia Bautista Bet-lehem, is turning 25!! To God be the glory, great things He has done! We're gearing up for a big celebration on October 18th. Since we have been denied access to the large auditorium nearby, we may be holding festivities on the street as in the past. Please pray that all the details will come together, and that our celebration will show the community that Jesus is Lord. Posted on August 28, 2015 by Manuel & Laura Vivanco. Laura shared at a women's breakfast for the "Church in the Park" in Tizayuca. We cooked and baked for and hosted our annual staff Christmas party (for 40 people!). Our family, plus others, led worship in 2 Christmas services (including Emily, who was fresh off the plane from college). Manuel preached for the last in a long string of quince años celebrations. Manuel's maternal grandmother was called into the Lord's presence (near Acapulco). Of his grandma's 7 living children (above), only 2 are believers. Manuel was able to share the Gospel message at the funeral and lead his mostly-unsaved relatives in a prayer of salvation. Praise God! After the Christmas services there were multiple piñatas for the many kids to break open. Kids Club members sang for the Christmas program in Puebla. But best of all is the spiritual fruit we have seen lately in many different areas. Our missionaries in the Mixtec region of Puebla, Agapito and Elsa, had 80 people at their Christmas event! This has been a very tough area with heavy resistance to the Gospel, so this response, and the fact that most present prayed to accept Christ, is incredibly encouraging. Please continue to lift up the Osorio family as they minister among these Mixtec people. The church plant in Héroes Tecámac is growing and doing very well under John & Tracey Pieters' leadership. John baptized 4 more new believers this month, and the congregation is studying Basic Christian Doctrines in preparation for becoming an officially established church next spring. We received word that spiritual seeds planted 22 years ago have now borne fruit. When I (Laura) worked in Chiconautla as a single missionary through the Spearhead program, my roommate and I invested a lot of time in a woman named Rosario. She attended church as long as we personally invited her, but after my term in Chiconautla ended I never heard from her or saw her again. A couple of weeks ago Rosario stopped by the church to say hello and to tell us that she was baptized in March 2014 and is faithfully attending a church near her home at the top of the hill! Praise God for the growth of those seeds planted long ago! So as 2014 draws to a close, we praise God for all the fruit that is evident in so many areas. As we continue to labor on, sowing seeds, watering others, and harvesting for the Kingdom, we are thankful for the partnership of those who pray and give to make this possible. Happy New Year, and to our supporters, may you find great joy in being a part of what God is doing here in Mexico! Blessings to you throughout 2015! Posted on December 29, 2014 by Manuel & Laura Vivanco. The weekend after the church anniversary brought another quince años. While all such events are special, this one in particular had us taking a trip down memory lane. The quinceñera, Ana Karen, is niece to two of our full-time staff members, and her parents met in our youth group 18 years ago. They lived with us for a few months just before Ana Karen was born and were part of the Chiconautla church for many years before moving away. They went through some rough times and fell away from the church for a short time before newly taking hold of their faith in Christ and moving back to Chiconautla last year. They are now solid Christ-followers, and both parents and all 3 kids are very active in our church. Ana Karen's dad was the key speaker for our anniversary youth event in the pictures above. Once again we are reminded of the huge importance of long-term discipleship, of walking closely with first-generation believers as they go through the challenges life brings. We praise God for this family and so many others who continue to learn to apply their faith amidst any and all circumstances. All of these unique events, plus regular activities and extra travels for Manuel for the Baptist Convention, proved to be a bit much in late October. We went through 10 days or so fighting a bad cold that swept through our family. Meanwhile something exciting was happening in the Chiconautla church building. The tile floor was being installed in the sanctuary, 21 years after we began construction! Besides the excitement over finally having a decent floor in there, the greatest part is how it came about. Long ago we got tired of pressuring the congregation to support the finishing of the building, and we basically stopped saying anything. So this is significant: A group of men formed a committee on their own, created an elaborate fund-raising plan, and presented it to the church. Several months later they had raised the funds, entirely from within the church, to purchase and install the tile floor. For a group of men, not women (who more readily tend to become active in evangelical churches in this area), to do this with no pressure from Manuel is more significant than you can imagine. It has taken 26 years to get to this point. Praise God with us for the new floor at the church, and even more for these men who rose to the occasion in voluntary leadership! The first activity to take place after the new floor was put in was...you guessed it! Another quince años! One more thing: Remember the Chiconautla missionary to the Mixtec people, Elsa, who had surgery on both eyes in August to the tune of $1500 US (an unthinkably large amount here)? Through many generous donations both here in Mexico and in the US, the entire expense has now been covered, even Elsa's new glasses! Thank you to those who gave, and for your continued prayers for Elsa as she continues to adapt to her new eyes and glasses. She has had some trouble with headaches but is doing better. Thank you also for praying for Elsa and Agapito's ministry among the people of San Pablo Anicano, Puebla. Happy Thanksgiving to you and yours! We have so much to be thankful for every day of the year! Posted on November 23, 2014 by Manuel & Laura Vivanco. This weekend is one of very few "normal" ones this fall. These are busy times! Last weekend we attended the second quince años (elaborate 15-yr.-old girl's birthday celebration) of many scheduled this fall. Actually, we were invited to two on the same day, but of course went to the one where Manuel was invited to preach (in La Presa). Then on Sunday, Manuel preached at a church plant 2 hours away (which some friends are in charge of), while I played chauffeur between our regular church services getting Caleb to and from church for worship team practice. We are heading into the week of Bet-lehem's 24th anniversary, and there are lots of special activities planned. More on that later. The two Noches Mexicanas at Bet-lehem Chiconautla were great fun! Many church members invited friends and family, and many of those new people heard the gospel message and accepted Christ as Savior! Since we can't fit many more than 200 people comfortably in the sanctuary, we have had to do two programs for the last few years. The first night we had 150 people, and the second night we had 215. Here are a few pictures, and there are many more on my Facebook page (Laura Vivanco). Since Tuesday, September 16th, was Independence Day here in Mexico, many people had Monday the 15th off as well. We took advantage of that on the 15th and made the 1-hour hike at sunrise from the last houses up to the top of the Chiconautla hill for a special time of prayer and worship. Again, more photos on Facebook. Chiconautla, some of which is visible in the foreground, blends in with the rest of Mexico City's metropolitan area. Since there's a lot to pray about in Mexico--and the world--these days, and our church enjoys prayer and praise gatherings, we had an all-night prayer and praise service the night of September 26th from 10pm to 6am. Yes, 8 hours! Manuel had a 2-day pastors' retreat with the Baptist Convention 3 hours south, but the kids and I were able to spend that special night at the church, seeking the Lord along with over 100 others. In other news, Elsa, Bet-lehem's missionary to the Mixtec people in Puebla, now has not only her new eyes after surgery to both, but also two new pairs of glasses. She is still adapting to her new eyesight and has had some trouble with headaches, but is VERY happy to be able to see again. Please keep her in your prayers as she continues to adapt and jumps back into ministry after returning to Puebla tomorrow to join the family there. On Monday, Manuel and Leví Vázquez, a lawyer and one of the members of the original church-planting team in Chiconautla, will make the 4-hour drive to Irapuato, Guanajuato and back. They are working on updating Bet-lehem's status as a religious organization before the federal government and need to visit one of the original board members. Thanks for keeping them in prayer on Monday during the long drive. This next week we'll have pre-church-anniversary activities, celebrating 24 years as a church. Wednesday and Thursday evenings we'll have Noches de Gratitud (Nights of Thanksgiving for what the Lord has done), Friday morning I (Laura) will be speaking at a women's breakfast, and Saturday afternoon from 2-6pm we'll have a special youth event for all the the Bet-lehem churches. Our son Caleb (15) has spent a lot of time practicing with the worship team for that event (drums, keyboard and guitar). Then Sunday we'll have 3 special anniversary services with Manuel preaching, and food after each of the 3 services. Thanks for praying for all of this! God is good! Posted on October 11, 2014 by Manuel & Laura Vivanco. The last weekend in August seemed to be the kick-off for the many special events coming up this fall. We had a quince años (15-year-old birthday celebration, similar to a wedding ceremony) on Friday evening and a wedding on Saturday, and then went to sleep to mariachis singing at a party in our neighborhood. In the next few months we have 4 more quince años scheduled, plus church anniversary activities in October. Special times! Coming up this week we have 2 Noches Mexicanas, evening services at church to celebrate Mexico's Independence Day, with special music and folkloric dances, and of course, the Gospel message. Thanks for praying for those events on Wednesday and Thursday. Also, next weekend is a long one due to Independence Day, so we'll do an all-church prayer retreat at the top of the Chiconautla hill early Monday morning. Those who have visited us know what we're talking about. It should be a blessed time together in prayer, worship and fellowship. We have enjoyed having our missionaries to the Puebla Mixtec region, Agapito and Elsa Osorio and their daughters, Zabdi and Noemí, in the Chiconautla area for the past several weeks. The Lord has answered their prayers in extra special ways during their visit. For 30 years, Elsa has struggled with failing eyesight, and recently she was nearing blindness. She was always told she was NOT a candidate for eye surgery, so she got along by just memorizing where there were steps and bumps on the path, which is no easy feat when walking between towns where they live in Puebla! To make a long story short, this summer the Lord made the impossible possible, and NOW ELSA CAN SEE!! Elsa had surgery on both eyes, one at a time, and a huge percentage of her sight was recovered in both! In a couple more weeks she should have corrective lenses which allow her to see with 20/20 vision. This is all so amazing, and we're SO happy for her! It's not all paid for yet, though. Even though the hospital gave Elsa a huge discount, coming up with the $1400 for these surgeries has been difficult! As missionaries dependent on the Mexican church, the Osorios receive barely enough to scrape by each month. (Coming up with their support each month is one of the Chiconautla church's biggest challenges.) Several generous people here in Mexico have helped financially, but we still need to come up with $500US to cover the cost of Elsa's surgery. If you'd like to help, please send your gift to UWM for the Vivancos as for all donations (click on Give at the bottom of this page), but then send us an email letting us know that it's for Elsa's restored eyesight. And please keep Elsa in your prayers as her eyes recover. The Osorios will be returning to the Puebla mission field as soon as she gets her new glasses. We'll send out more ministry news soon. Meanwhile, thanks for praying that many will come to Christ through the special activities these next several days. Posted on September 9, 2014 by Manuel & Laura Vivanco. During their 2 days in Puebla, the staff visited with the Osorios, encouraged them, and held a worship service with them. The Mixtec region the Osorios are working in is heavily steeped in pagan rituals and superstition, and Agapito and Elsa and their 2 daughters are in their second year of preparing the soil, so to speak, and planting the seeds of the Gospel message. They are very involved in their community and in their daughters' schools, and have built a friendship with the municipal president and other leaders. This has opened doors for them in neighboring towns as well. Lots of rain in Puebla brings lots of shades of green...and muddy rivers. One of the burdens on the hearts of the Osorios is the high number of children in their area who are just growing up on their own. Many children have lost one or both parents, either to migration to the US, or death. There may be relatives who look after them to some degree, but they don't have a healthy family life in any sense. So the Osorios bring them all together once a week for a Kids Club, and connect with them throughout the week as well to infuse some love and hope into their lives. Thanks for keeping them all in your prayers! It is always a joy to be able to share some of our lives with others as they seek counsel and/or fellowship. Posted on July 21, 2014 by Manuel & Laura Vivanco. So happy to have Emily home! But even more amazing was what happened next: Manuel baptized 18 people, our biggest group ever in Manuel’s 25 1/2 years of ministry! And if you look at this picture of those who were baptized, you may notice something still more amazing…Things have changed over the years. For so long it used to be primarily women coming into the church with a few men here and there. But of the adults in this group of 18, we have 5 MEN and 5 WOMEN. Of the 8 teens, we have 5 GUYS and 3 GIRLS. We praise God for each one of these people who are now following Christ, and in particular for what the Lord is doing in the lives of men of all ages. We’ve waited a long time for this! Please pray for continued growth in each of these lives. The next day, Sunday, was a day of more celebrations for 2 reasons. First off, our middle daughter, Kelly, had her 12th birthday. Few kids have such a symmetrical spot in the family as Kelly does with an older brother and sister and a younger brother and sister. We’re thankful for our middle child’s 12 years so far and can’t wait to see how and where the Lord will lead Kelly as she continues to grow! In keeping with Vivanco tradition, Kelly had the honor of preaching God’s Word from the pulpit just after her 12th birthday. She did a great job last Sunday! 1st Anniversary of the Tizayuca "Church in the Park"
Second, the Tizayuca “Church in the Park” celebrated their first anniversary as an official church on Sunday, May 25th. God’s goodness to this vibrant body of believers was remembered with a special service, meal, and concert in the park under a big tarp. Praise God for the continued numerical and spiritual growth of this young church! As you enjoy summer weather and activities, thank you for remembering our family and ministry in your prayers. Happy summer! Posted on June 7, 2014 by Manuel & Laura Vivanco.